one happy little crafter: 7 Today! Hi, hope you're having a great week so far! It doesn't seem like that long ago, that I was on a week off from work, quite a few of my friends from the Docrafts forum were already blogging, so I decided to take the plunge - and I am so happy that I did!!! This little part of my PC has become such an important part of my life, over these years my life has seen some incredibly happy times, and then some not so happy times too but blogging has been a constant, and in a weird cyber-y sort of way has been an arm around my shoulder throughout. When I first started I never thought I'd be "brave" enough to enter a blog challenge - but I did, and it was fab and eventually I even won one, then I never thought I'd be "good enough" to be offered a Design Team position, but I did get the offer of a spot - and then another one shortly after, I'm sure my 7 years ago brain, would have exploded at the thought of running TWO challenges - and yet here we are now with the Cutie Pie challenge doing fantastically well and even getting a mention in Papercraft Inspirations magazine and Christmas with the Cuties growing in popularity and just about to have challenge #3. I have been fortunate and blessed to have made some amazing and wonderful friends, through this world of blogging,,,,,and if I could have one wish I would visit you all in person to give you the biggest of hugs, but I hope you will accept my Thanks and virtual hugs. Thank you also to this little blog for being more than a URL to me. My blog name sums me up perfectly, I am very much One Happy Little Crafter - and I have much to be Happy about and Thankful for. older papers from stash - not entirely sure of "make"
Oooh such a super cute card, Lisa! Gorgeous! Happy 7th Blogaversary!! It's great that having a blog has added to your happiness and I know exactly what you mean about your blog friends as mine including you have been a real help whilst I've been not so good. I hope you continue to be a very Happy Little Crafter. Congratulations, can't believe it's that long. Thank you for the enjoyment I have had with all of your cards and projects. Congratulations on your 7th Blog Anniversary Lisa, here's looking forward to the next 7 years. 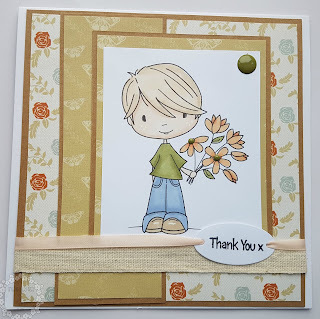 A super card, such a sweet image and lovely papers. 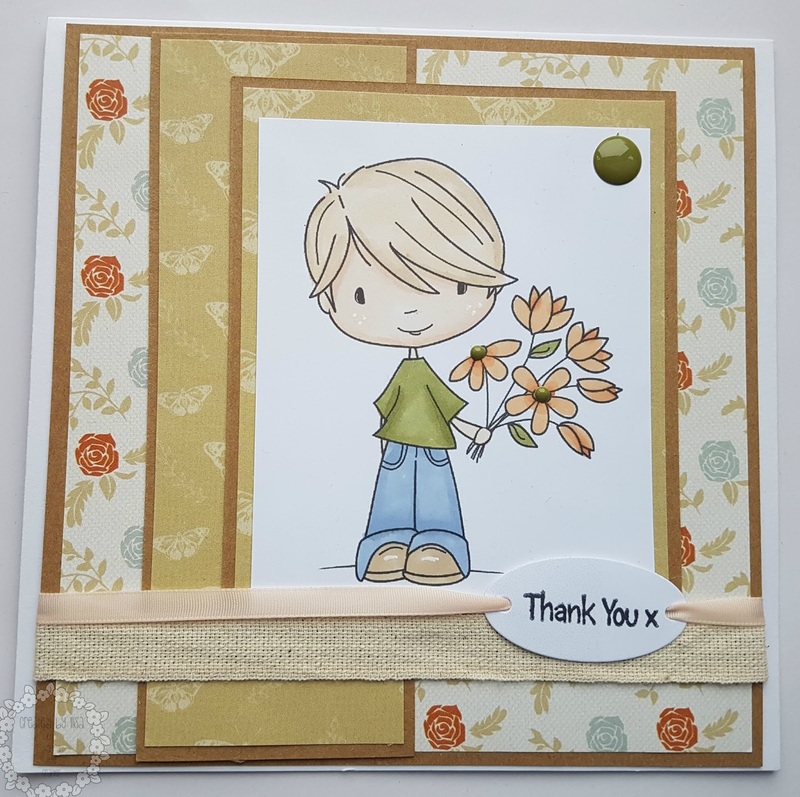 Such a sweet card - thanks so much for sharing your creation over at the Crafty Creations Challenge Blog.